"Jeff is a wonderful agent, honest and professional. He helped us find a 2nd home in M.B. We gave him a price range we wanted to be in and after several days of hunting we talked with him about raising our top limit. He encouraged us to stay with the price range we were comfortable with, and he would keep helping us look. Most agents we have worked with would have encouraged us to go higher just for the commissions, he did not. He wanted us to be happy with a purchase. After finding a property he walked us through the entire process beging to end. Even during the inspection when something went other than planned he was right on it. He always got back with us quickly and respectfully. We have recommended him to our friends and consider him a friend as well." "Jeff is truly amazing. Not only did he sell our house after one showing, he also negotiated a great price on our new home and all in less than a week! He was extremely knowledgeable about the area and market and was readily available day and night to answer any questions or to make recommendations. We have already recommended Jeff to several friends and would highly recommend him to anyone else looking to buy or sell a home in the area. Thanks Jeff!!!!" "My wife and I always thought we would be life long renters, paying a lot of money each month toward someone else’s mortgage with nothing of value to show in the end. We only considered the possibility of becoming homeowners when we started planning for a family, and are now expecting our first child in June of 2012. The first step was to consult our close friend, Jeff Casterline with Beach Realty Group. Jeff asked us questions, and we discussed our wants and needs in a home as well as price range. Jeff referred us to a reputable mortgage broker for pre-approval. In no time, we were off and running. Jeff listened to what we told him, and showed us a community we had assumed was beyond our reach. However, Jeff is all about his client, and he told the sales agent of the builder up front that he strives to give his clients every little detail they want. He held true to his word, and negotiated a deal on an unbelievable property that has everything we could ask for. We are now homeowners, loving our new home with added features like the wood floors and custom blinds Jeff had pushed for us in the offer. Thanks to Jeff and his team that was informative and helpful every step of the way, we proceeded through our first home buying experience confidently, and the entire process went smoothly. Jeff was there to answer any questions we had no matter how “first time home buyer” they seemed. We appreciate his professionalism and dedication to his clients. I have always said he is once in lifetime friend, and he is truly the same kind of Realtor. Simply put, he is the best in the business. He is a true professional, with an unsurpassed knowledge of our local market and the experience to guide his clients through the process of buying a home, all with your best interest in mind. 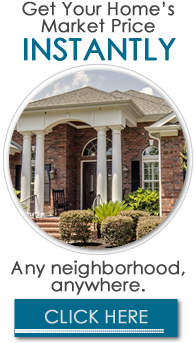 If you are looking for a home, there is no question where you should go, Jeff Casterline and Beach Realty Group will get you into a home you love, just like us." "Jeff was very personable and patient with us as we bid on three different houses before finding and landing our eventual home. It seemed that all the houses we liked were out of our price range or not move in ready. On one particular morning, we had seen two other houses without much luck before Jeff surprised us by showing us a house that wasn’t even on our list. It wound up becoming our home." "We had an excellent experience working with Jeff and we would highly recommend him to all our friends who are looking to buy or sell a home in the Myrtle Beach area. Jeff has the knowledge and expertise needed to sell a home quickly, in our case, one week." "Great experience from start to finish. 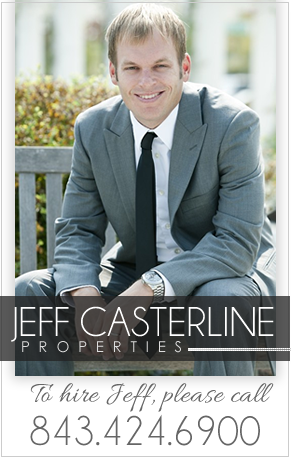 Jeff Casterline was great to work with and made our dream come true of owning a 2nd home at the beach. Jeff was always on top of it before I got the chance to ask. It was a daunting task especially being out of state, but he made it easy. Thanks Jeff."